Anyone walking along the West Fields Farm end of The Ridgeway in 2003 and beyond will be pleasantly impressed by its rural tranquility. Local residents frequently stroll along its green, tree-lined length to enjoy viewing the cattle and sheep peacefully grazing in the pastureland on either side of the road. Around one hundred years earlier, in 1896, the scene would have been very different. The Ridgeway had not yet been constructed and the air was then filled with the noise and dust caused by the progress of steam driven diggers as they cut their way through the sandy soil to create a cutting for a station and the new M.S.& L. railway line to London. This significant event in the modern history of Rothley was to unearth evidence of a much earlier period when the diggers unexpectedly uncovered several skeletons from a Saxon burial ground and, close by, the mosaics of a Roman building. Thanks to a Victorian gentleman named William Trueman Tucker, F.G.S., who had a self admitted 'zest for the quest' in archaeological matters, a few of the finds were reported and photographed by him for the Leicester Literary and Philosophical Society. The finds, now in the Jewry Wall Museum include part of a shale table leg which, in Roman times, had belonged to a valuable piece of prestige furniture. Unfortunately, the mosaics were spirited away and much of the Saxon burial evidence was bulldozed into the embankments. 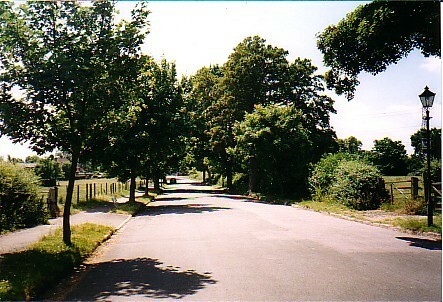 In 1901 The Ridgeway was constructed. This time,Trueman Tucker was prepared and moved in quickly to record, photograph and draw whatever was unearthed as the foundation of The Ridgeway was excavated northwards from the station. The finds include a concrete floor, wall foundations, a hypocaust (underfloor heating) and a well. The conclusion was reached that this was the bath suite that belonged to a large Roman country house or villa and the site became a scheduled monument in 1976. 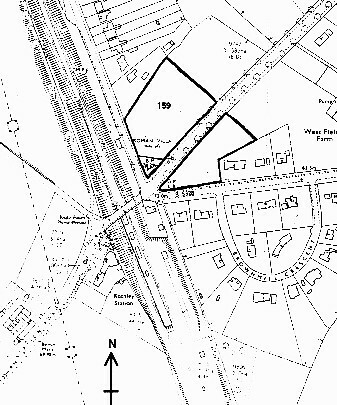 From a geophysical survey carried out in 2000 by a local resident it can be estimated that the villa was, at its zenith, a large courtyard type which extended across both fields. In terms of area covered this would put it into the same league as Chedworth Villa in Gloucestershire. Today, unfortunately, there is no trace of the villa, but a stroll along The Ridgeway is recommended as part of the Rothley experience particularly as a pleasant on-foot route to the Great Central Railway Station. The above information has been given by Brian Verity the Archaeological Warden for Rothley.